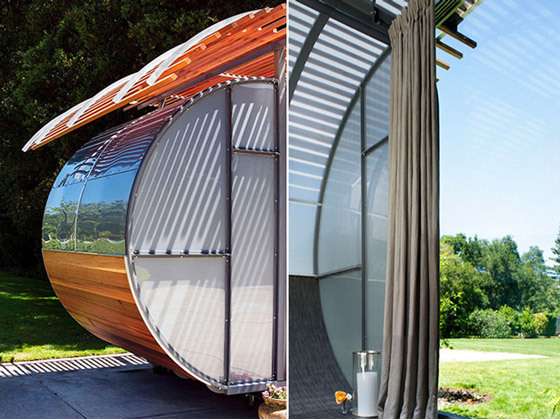 House Arc is an ingenious prefab system designed by Bellomo Architects of Palo Alto, CA. 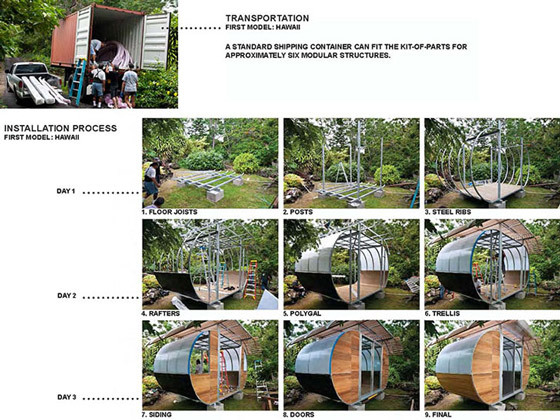 Designed to be flat-packed and shipped in a box that is 4x10x3 feet and easily assembled on site by its owners. Now you can assemble your house like you assemble IKEA furniture. 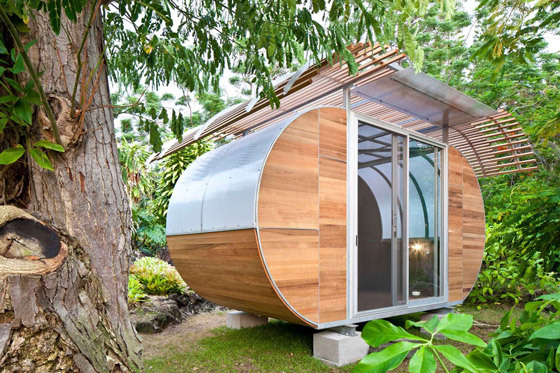 The House Arc features large windows that allow natural light to filter through the dwelling. 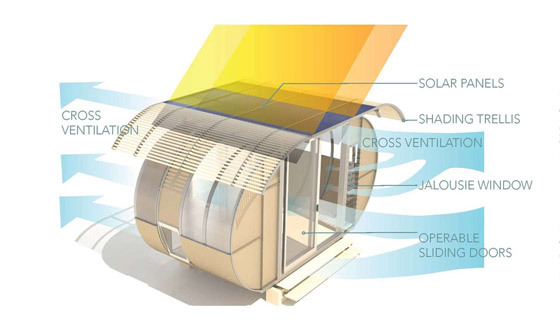 A shading trellis limits the amount of heat that can infiltrate inside the building and the raised structure allows air to flow underneath for cooling, whilst also maintaining the permeability of the site. 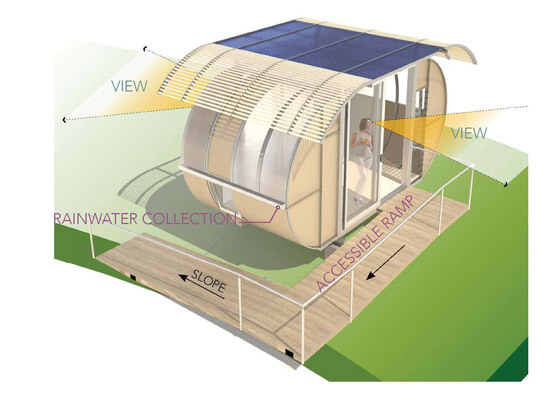 Moreover, it can withstand tropical winds and weather and also features a solar energy generating roof. 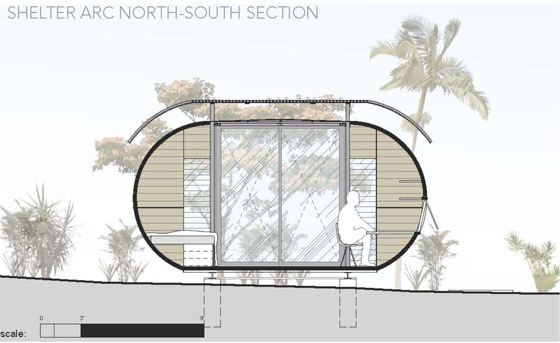 Due to its features, House Arc was conceived to function as both emergency shelter for communities in need, and an attractive solution for individuals interested in backyard home expansion. 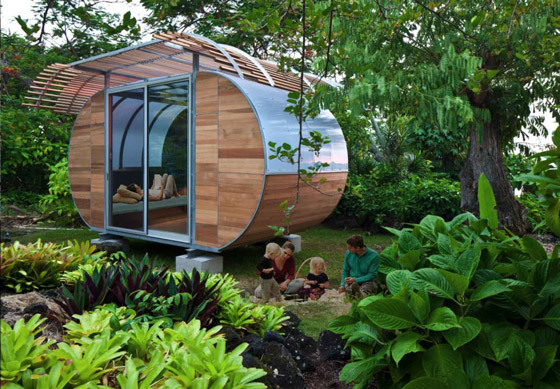 However, a US$65,000 price tag make the modular house a bit expensive for its purpose.